The video of Rebecca’s newest animation dance to her song, “My Hero,” has been selected by the music industry’s leading video promotional company to be featured in their national promotional campaign. Rebecca debuted her newest dance with animation at a major conference. This dance, which she created to her song, “My Hero,” was received with sensational accolades! Check out pics from this dance in the photo gallery. Rebecca has been recognized by the Producer’s Choice Honors Awards in Los Angeles for her outstanding work in dance with animation. What an honor for Rebecca! The Producer’s Choice Honors Awards in Los Angeles has chosen Rebecca out of over 10,000 nominees as one of the top five Female Solo Performers for 2016. Rebecca is excited to be recognized as a talented performer and an inspirational artist! Rebecca created a mesmerizing dance of animation with choreography, which she performed at a large conference. It was wildly popular at the live performances as well as on Facebook. Check it out on Rebecca’s Official Music Facebook page at facebook.com/rebeccarudolfmusic or on https://www.youtube.com/watch?v=XL4O-0u0Blo . Rebecca’s music is now available for purchase on Bandcamp! 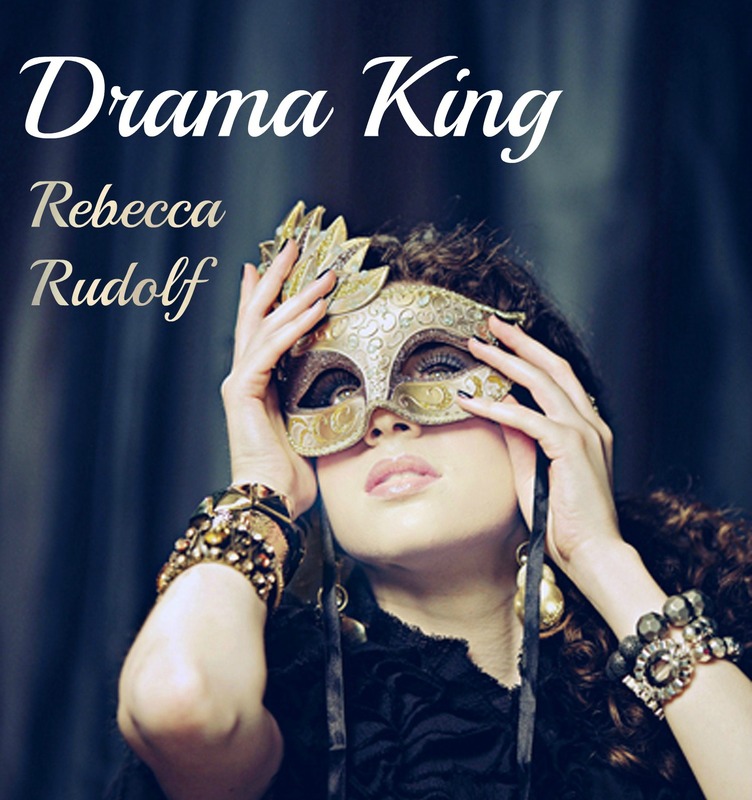 Go to http://rebeccarudolf.bandcamp.com/ to download all of Rebecca’s music and lyrics. Check it out for special deals and updates! Rebecca has signed with an awesome music licensing company in LA! They will be placing her music in different media outlets such as TV, film, ads, and more! So, keep an eye out for Rebecca’s music to show up in lots of interesting places! Rebecca is now a published author! She’s had some of her articles chosen to be published in a national, inspirational periodical. Rebecca is very excited about this new endeavor! After two years of writing a successful blog about unconditional love, Rebecca has decided to move onto other writing projects. The U Love blog is officially on hiatus. Many thanks to the tens of thousands of loyal followers who followed the weekly blog posts!!! You are very much appreciated!!! More great news about Rebecca’s “Unconditional Love” music video. A prestigious video outlet in the California area, Sidewalks Entertainment, will be featuring Rebecca’s music video during the months of September and October. Bravo Rebecca!!! Along with working on new music, Rebecca is getting ready to debut her blog about Unconditional Love. Coming soon!! Amazing success for Rebecca’s “Unconditional Love” music video! Nearly 40 top video promoters (including MTV Latin America) picked up Rebecca’s video for viewing to millions of people across America and around the world! Bravo Rebecca!!! To everyone living in Long Island, Queens, the Bronx, and parts of Southern CT…. Rebecca’s music video “Unconditional Love” is being aired Saturday nights this month on a TV show called Home Grown Video, on Time Warner cable and Dish Network HD NY Channel 115! Some exciting news….MTV Latin America will be promoting Rebecca’s “Unconditional Love” music video!!! So, if you live in Latin America & watch MTV….Rebecca’s video will be airing there!! Be sure to check it out! Rebecca’s new single “Unconditional Love” Feat. Dre Vice is available for purchase on itunes.com/rebeccarudolf and http://www.cdbaby.com/Artist/RebeccaRudolf !! Download it today for a love fest! A Big THANK YOU to everyone who kept Rebecca’s song, “Something More,” climbing the Radio Top 100 Charts, in Portugal, for 10 weeks straight!!! Thank you!!! Hey guys 🙂 I just wanted to let everyone know that I now have a facebook profile and official music page here !!! It was about time! LOL. So everyone please add me on there and suggest it to your friends too! 🙂 See you! Rebecca is on the cover of Brazil’s M1 Music Magazine this month, with an interview inside! She is so excited to have this opportunity and feels quite honored to be able to share her music with as many people as possible. Click on http://www.revistam1.com.br/quatro/index_quatro.html (or look under the “links” section of this website) to see Rebecca on the cover! Also be sure to scroll to pages 4 and 5 of the magazine to read the awesome 2-page interview on Rebecca and her music. The interview is in Portugese right now, but will be posted in English soon. So keep checking back!! Write me on Twitter to stay in touch throughout each day! 🙂 And follow me at !! Hi!! Just wanted to let everyone know that there was a great front page article about my music and the whole Britney Spears mix-up in a few newspapers in the Philadelphia area. You can read it at couriertimesonline.com for Saturday, June 28. It has been picked up by other online news sites as well, one being msnbc.com in their Delaware Valley section. There was also a news segment about my music and the whole Britney Spears mix-up, with CBS news reporter, Lesley Van Arsdall, that aired on CBS Eyewitness News Philadelphia station at 11 pm on Sunday, July 6. For those of you who were not in the Philadelphia area, you can see it at http://cbs3.com/topstories/Rebecca.Rudolf.Britney.2.764775.html and http://cbs3.com/video/?cid=221!! Or you can google it at cbs3.com/watercooler, then click on “video library,” then click on my story entitled “local woman becomes internet sensation.” So please watch it!! rebecca 🙂 P.S. Thank you to all who gave me such encouraging comments about this and to all the new friends I’ve made through this. You mean so much to me! Hi there!! Good news again everyone…. I just wanted to let you know that all three of my songs were chosen to be in rotation for airplay on 100% Music Radio!! This is a non-profit online radio station streaming 24/7. You can check out their website at http://www.free-samples-n-loops.com/pop-radio-stations-artists.html and http://www.free-samples-n-loops.com/free-radio-stations.html and request for my music to be played!!! P.S. By the way, there’s a new website where my music is available for purchase. You can check it out at http://www.indierhythm.com/product.php?cdId=2965!! Rebecca’s song, “Know That There Is Hope,” was just selected to be in rotation for airplay on Alexa Digital Radio at http://www.alexadigitalmusic.com/artist.asp?ArtistID=1883&band_search=Search!!! Please check out Rebecca’s artist profile on their website, and request for her music to be played! Thank you so much! Hi there! Rebecca here! Yes, live and in-person. My first personal journal entry. Very cool. So….I just came back from a big week of performing! I was at a large conference where I performed my music twice, and danced once. I had a blast! All of the performances went really well. There were a few technical difficulties with the sound system at the first music concert I did, but nothing too bad that G-d couldn’t override. The rest of the performances were smooth sailing. This past week was actually my first time going out to perform my music without dancers coming with me. So it was a new experience to just focus on singing and not dancing too. Definitely less tiring I must say! But I learned a lot and had fun doing it! Now I’m just preparing for upcoming projects I know I’ll have next semester at school, which require a lot of prep time. Oh yes, and I’ll be taking a little R&R time for myself to recover a bit from my hectic schedule! Please leave response comments so I can hear from all of you! Thanks and I’ll write more soon! *Rebecca* P.S. Don’t forget to check out the new concert pictures in my photo gallery!! Rebecca’s song, “Something More,” was included on the Music For Troops compilation CD. This CD has been sent out to all of our troops as an inspiration! Rebecca is very excited and honored, once again, to have been chosen to be a part of such a wonderful project. You can buy the CD at CDman.com and find out more information on the project at MusicForTroops.com. All three of Rebecca’s songs from her intro CD were just selected to be in rotation for radio airplay on the #1 Independent Radio Station, Indie104 iRadio LA! This is a kudo for Rebecca’s music and she’s very excited. Please tune in to Indie 104 iRadio LA and request for Rebecca’s songs to be played! To find out more information about this station, just go to iradiola.com. Thanks so much for your support! All of Rebecca’s songs have been chosen to be in rotation for airplay on radio stations! Some of the stations are Celebrate Radio!, which is streaming from the web 24/7 all over the world, Radio Fly1, which is an independent rock station that also broadcasts 24/7 on Live365.com and attracts over 3 million visitors a day, and the Indie Connection Radio Show on Radio 104.5, 94.7, and 94.9 FM which reaches 1.2 million households. To hear Rebecca’s songs or get more information about these radio stations, you can go to celebrateradio.com, radiofly1.com, and radiox.com. Rebecca is extremely excited and honored to have had her songs chosen for airplay on these stations. Please listen for them soon!! Rebecca’s song, “Something More,” was just selected to be on a record label’s New Music Series 2007 Global Compilation CD Project! The goal of this project is to showcase original music from the best emerging artists from across the globe. Through this compilation CD, the chosen artists increase their visibility and reach a wider audience. Rebecca is very excited and honored to have been chosen to be a part of this project! One of Rebecca’s songs, “Know That There Is Hope” (as well as possibly “Something More” and “Turn The Other Cheek”), has just been selected to be on the rock compilation CD, OPERATION: Rock Our Troops! A record label is compiling songs of various rock bands/artists to send and distribute to our troops in Iraq and Afghanistan. Rebecca is very excited to be able to support our troops in such a great way! She hopes they will be inspired by the message of hope and love from God that her music brings. The CD should be completed and available for purchase soon, through CDBaby.com, Tower.com, BestBuy.com, iTunes, and other outlets!! Rebecca’s long awaited introductory CD has finally come to completion! It will be available for purchase by the end of June. Check out “Links” and “Buy” to see where you can purchase her intro CD.